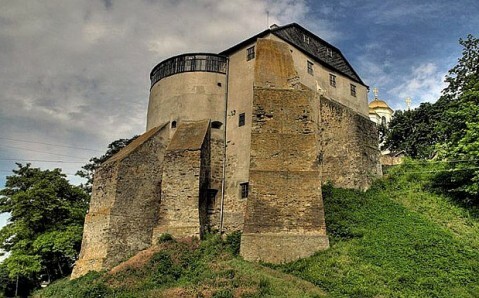 Menacingly towering over the twenty-meter-high hill in the age-old town of Ostroh not far from Rivne, the Ostroh Castle is seen as a token sample of the Ukrainian fortification architecture and is recognized as one of the Volyn’s most interesting historical and architectural monuments. In the 14th century, the castle complex was raised on the place of the Old Russian town, which was destroyed by Mongolian Tatars in 1241. 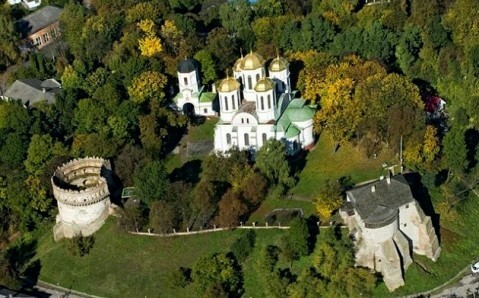 It remained Ostroh princes’ residence for more than three centuries. They were the richest and the most powerful magnates, who owned a lot of lands on the territory of the modern Ukraine. Consisting of stone and wooden buildings, the castle was well fortified: it was protected by the steep from two sides and by the deep ditch, dug in place of the former ravine, from the other two. 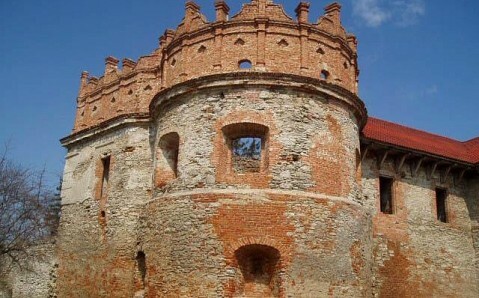 The Ostroh Castle was repeatedly rebuilt and modernized during its centuries-long existence. 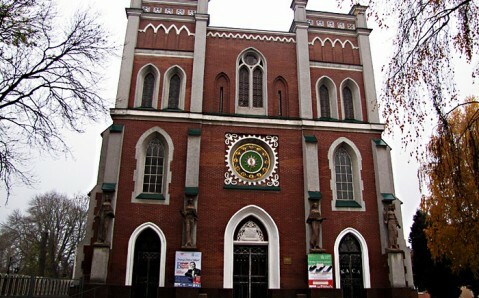 Two towers – Stone and Round – Epiphany Cathedral with gate belfry, and fragments of defensive walls survived until now. Castle’s oldest construction is the Stone Tower, built on the southeastern part of the hill, in the second half of the 14th century. The three-tier tower with three-meter-thick stone walls was first built as a donjon and had two functions at the same time: dwelling and defensive. The lower tier served for storing supplies of food and drinking water, and the two upper tiers were occupied by small cozy rooms. The upper levels were rebuilt in the 19th-20th centuries. Today, the premises of the Stone Tower house the exposition of the Ostroh Museum of Local Lore with multitude of very interesting exhibits, including archaeological artifacts, furniture from princely times, collections of painting and icon painting, porcelain and earthenware. 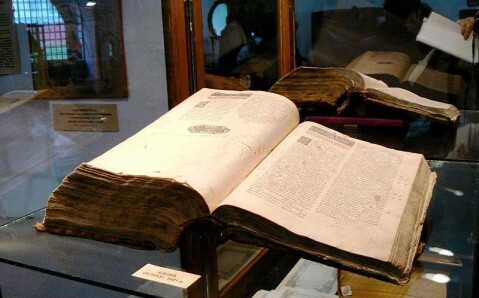 Museum collection’s highlight is the famous Ostroh Bible, published by the first printer Ivan Fyodorov, in 1681. The New Tower (also called the Round Tower) is situated not far from the Stone Tower. It is built of stone and brick and has three tiers too. The last one is marked by the line of loopholes and is adorned by figured merlons. 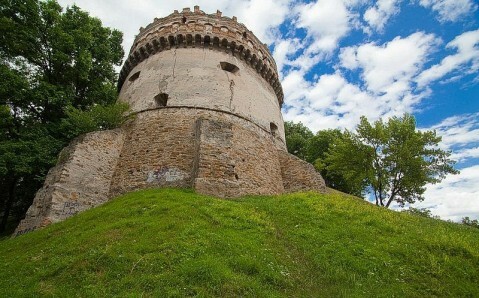 Thanks to this peculiarity, the Round Tower is seen as a worthy sample of the Ukrainian Renaissance architecture. 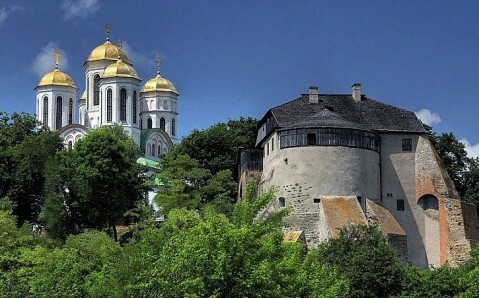 The Ostroh Castle’s complex includes the elegant Epiphany Cathedral, raised in the 15th-16th century. It used to be a part of the castle’s fortification system: adjoined to the complex’s fortification walls, cathedral’s northern wall was consolidated and was almost three-meter-thick; it had loopholes and a wide ledge for sentries. 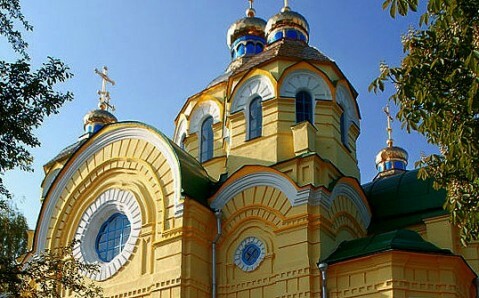 The Epiphany Cathedral was abandoned for almost two hundred years, until it was reconstructed in the late 19th century. As a result, the building lost its original Renaissance and Gothic traits and acquired forms that were typical for the Old Russian architecture. A little later, the gate belfry appeared near the temple. Now it is also a part of the castle complex. The same as any other age-old castle, the Osroh Castle is covered with multitude of legends. One of them is connected with the princess Galshka of Ostroh, who was considered to be the most beautiful, smart and noble fiancée in the Eastern Europe. Her uncle, Vasiliy-Konstantin, gave her in marriage to his relative – a powerful magnate, who held office in the Grand Duchy of Lithuania – against girl’s will. During the wedding ceremony, which took place in the Epiphany Cathedral, a storm suddenly began: bells started to ring disturbingly, candles and oil lamps went out. The priest who conducted the ceremony saw it as a bad sign and wanted to stop, but the Prince Vasiliy-Konstantin insisted on continuing. Having become a wife of a man she did not love, Galshka jumped from the balcony that night. She didn’t die, though. The wind picked up the girl, and since then, her ghost is said to wander around the territory of the Ostroh Castle on a moonlit night. Getting there. Route buses and taxis regularly depart from Rivne bus terminal to Ostroh. 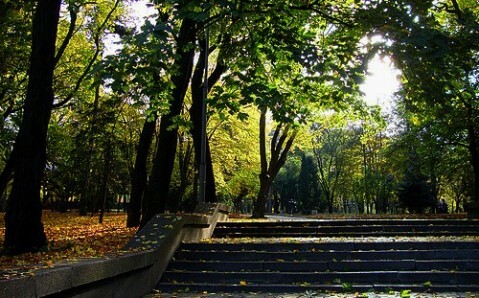 Неповторне історичне місце. Дуже багато цікавих, нових і маловідомих історій можна дізнатися пройшовши всю експозицію.